Guess Who’s Joining the MyHeritage Eurovision Bus Tour? Earlier this week we announced the MyHeritage Eurovision Bus Tour! 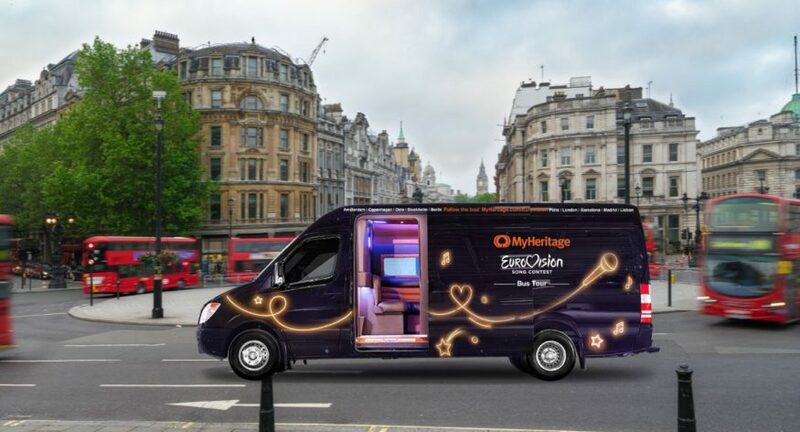 From April 5th – 21st the MyHeritage Eurovision Bus will be traveling around Europe spreading Eurovision fever in true MyHeritage fashion. In addition to having the chance to win a VIP trip to the Eurovision Song Contest Final in Tel Aviv, you’ll have an opportunity to meet some of Eurovision’s biggest stars, past and present! There are many more big names to come, so stay tuned for further announcements. So come aboard the bus, take Eurovision selfies, challenge your friends to belt out their favorite Eurovision tunes, and go home with some amazing Eurovision swag. The road trip starts tomorrow and you won’t want to miss any of the fun! Follow the #EurovisionBus on the MyHeritage Eurovision Bus Tour Site!